A brilliant send-up of American mythologies. When estranged siblings flock to their wealthy, scandalized father, the poisonous illusion of the American dream, of capitalism and conventional masculinity and familial betrayal, is powerfully exposed. 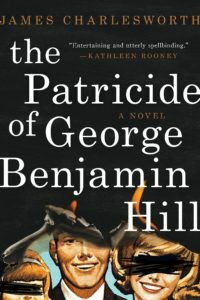 With its thrilling plot and unforgettable characters, The Patricide of George Benjamin Hill is a vital debut novel. Charlesworth’s saga takes a sweeping sideways look at American ambition and even the great American novel. However, the tone is never cynical in this family tragedy. Rather, there is a beautiful sadness and mournful anger as Charlesworth evokes the loss following consequential choices. 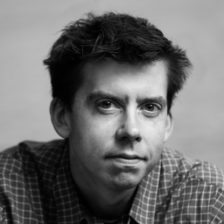 The eponymous industrialist of James Charlesworth’s debut novel is a bootstrapping striver, a paragon of ruthless certitude, a malevolent Forrest Gump of American capitalism; he’s also the father of grown kids with wrecked lives and serious scores to settle. As Charlesworth tracks their murder-minded convergence on a Midwestern ranch, his winding, precise sentences excavate histories both personal and national to deliver a compressed epic that doubles as a fierce indictment of traditional masculinity. Rollicking, hallucinatory, and deeply felt, The Patricide of George Benjamin Hill is a scorching Oresteia for the twenty-first century. The Patricide of George Benjamin Hill asks what happens when a family tree is poisoned at the roots. This epic family saga unfolds in clear-eyed and powerful prose, and speaks to both our history and our moment, capturing what’s lost in the search for power. A searing fever-dream of a novel, a sprawling family saga that dramatizes the ruinous consequences of blind ambition and the failings of a patriarch — and of the patriarchy more generally. Charlesworth’s sentences are marvels, and they will carry you in a rush of language toward an unexpected conclusion more narratively and thematically satisfying than any I have read in a long time. This is a masterful debut — beautifully written, brilliantly structured, often unnerving and harrowing but, ultimately, deeply moving. A wild ride across decades and emotional depths, The Patricide of George Benjamin Hill follows one man’s rise from humble beginnings to the pinnacle of power and greed, and the lengths his scattershot offspring will go to exact revenge on the father who left them behind in pursuit of the American Dream.